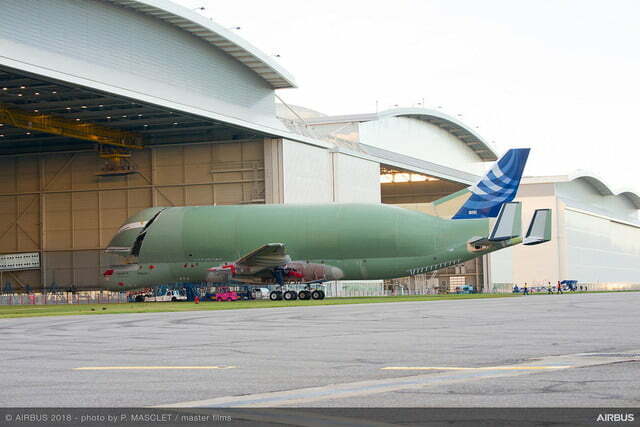 If you’ve ever seen one of Airbus’s “bloated” Beluga aircraft, you certainly won’t have forgotten about it. Named after the Arctic whale for its similar appearance, the huge and rather odd-looking airplane has been in service for the last 20 years, flying large aircraft components — think fuselage sections, wings, and tails — from European suppliers to Airbus’s assembly plants in Toulouse, France and Hamburg, Germany. 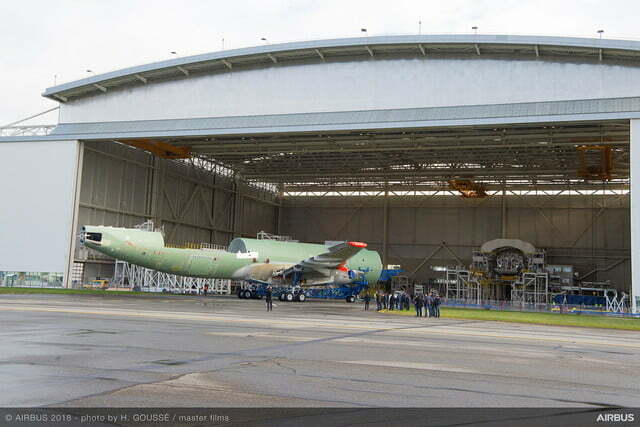 Now the company is prepping the maiden flight of a new version of the Beluga, one even bigger than the five currently in service. 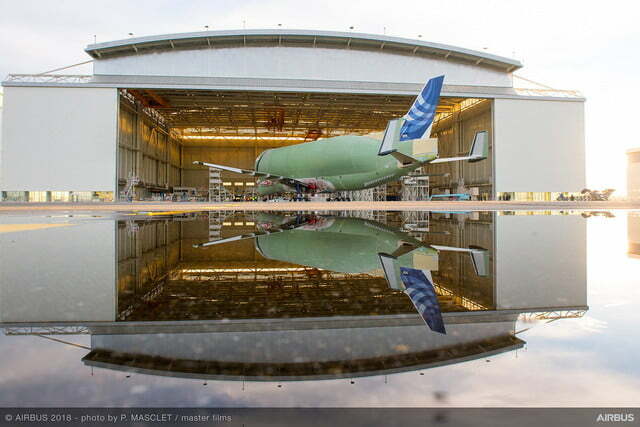 Called, appropriately enough, the BelugaXL, Airbus revealed in a recent tweet that it has now affixed the engines to the new plane as it gears up for its first-ever flight over Toulouse this summer. Airbus says the 184-foot-long plane combines outsized cargo-carrying capability with the speed and efficiency of its A300-600 airliner. The front of the Beluga opens up, allowing cargo to be loaded into the cavernous “bubble” space. The cockpit is placed lower than you’ll find it on an A300-600 to avoid having to disconnect electrical, hydraulic, and flight control systems each time cargo is loaded and unloaded. 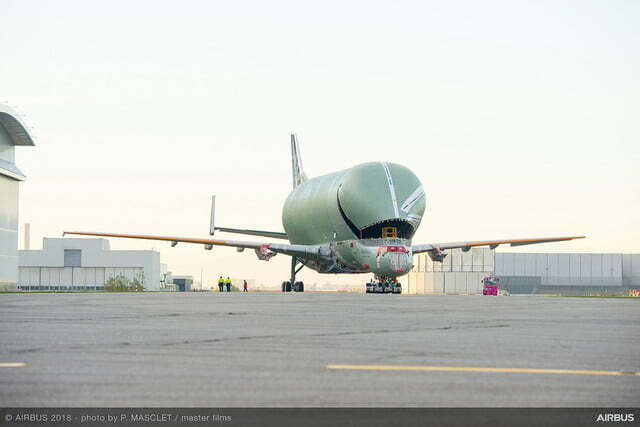 The latest version of Airbus’s super-transporter can take 6 tons of extra cargo compared to the current Beluga, increasing the limit to 53 tons. It’s also 20 feet longer and 3 feet wider than its predecessor, allowing the company to make further efficiency improvements when it comes to moving large airplane parts. For example, the new design will be able to carry two Airbus A350 wings (instead of just one as with the current Beluga), as well as sections of the double-decker A380, currently the world’s largest passenger plane. 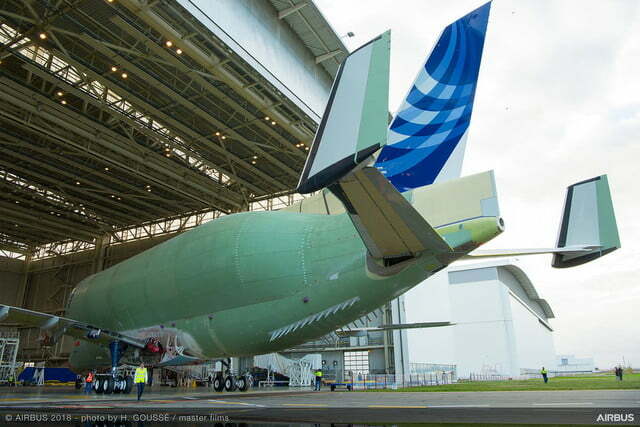 Up to now, many of the assembled sections used for the construction of the A380 are too large even for the current Beluga to carry. 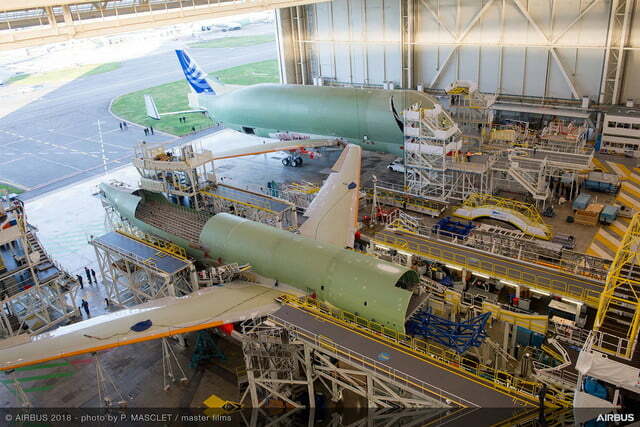 This forces upon Airbus a complex logistical operation involving road and sea transportation to ensure safe delivery of the components to Airbus’s facility in Toulouse for final assembly. This extraordinary video on the Smithsonian Channel shows the A380’s wings and fuselage being squeezed through the narrow streets of a French village on their way to the facility. 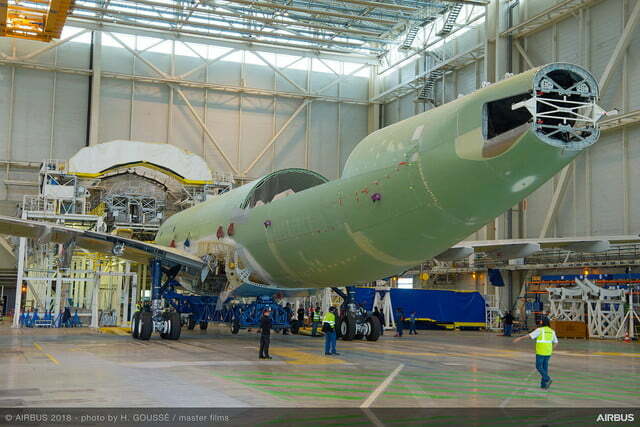 The BelugaXL will change all that, and, of course, help to get the parts to the assembly site in a more timely fashion. Boeing has an equivalent aircraft called the Dreamlifter that it uses to transport the wings of its 787 Dreamliner plane. Following test flights that are set to start in the coming months, Airbus plans to build a total of five BelugaXL planes with the aim of putting them into service in mid-2019. The current fleet will be gradually retired through 2025, the company said.